Hiring? Toptal handpicks top Open Source engineers to suit your needs. Are you surprised by the results from GitHub? What do you think they mean? WTF, really WTF Anyone care if a line of code was written for women or men, if we have less women in our area is because they prefer to work in other specialties instead of coding, just that. Well, I believe in the end, it all boils down to skills. And 99% of the people doesn't care whether the programmer is male or female. The 1% are sexist bad people. Yes, noooooooooooo one cares, as long as the line of code works! Why would you care if your code was written by a male/female/other as long as it is good code? If I had a company, I would hire the most motivated and best talent I could get, regardless of gender. Discrimination either way is a terrible idea when your goal should be a good product. I consider myself lucky to be a woman in front-end (web) development because from my experience discrimination based on the gender is very low or non-existent. Coders and designers are more focused on the quality of the work and we actually never discuss gender difference because they are irrelevant. That said I think web development is the most progressive branch and I'm happy to see many female designers and coders at the meet-ups. I'm not happy about GitHub profile stats being a criteria of competence. During my over-10-years software engineer career 100% of projects I was hired to work on were private commercial (this is true for Toptal jobs as well, right? ), and 100% of projects I've been working on my own are private commercial too. And I wouldn't say they are less exciting or less technically demanding than open source, they are just business, i.e. targeting a customer but not a fellow developer. After 50 years of coding, who cares if a person or a machine wrote the code. Does it work and efficiently so? On rare occasion with a remote online project, a handle like TuringMachine does great work and then surprises me at a conference. TuringMachine is a lady, and nothing said in months of emails and chats indicated so. (Skype?) Other times, GavinS or David D turns out to be a seventeen year old kid. Write good code. Of course open-source isn't open to women. Have you seen the shitstorm that erupted on GitHub after they proposed a code of conduct that would address the extra obstacles women face to make it into this community and make it clear they're welcome? They had to pull it back. 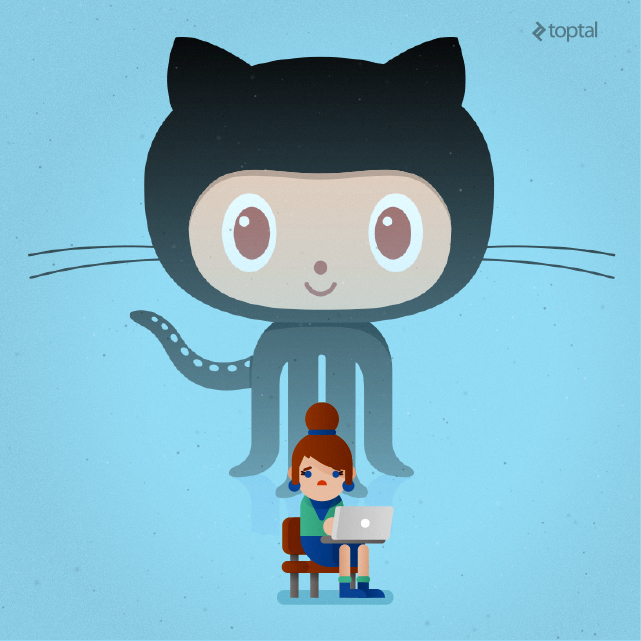 https://github.com/todogroup/opencodeofconduct/issues/84 Or look to general communities like r/linux or r/programming whenever the topic of the inclusion of women comes up. It does anything but feel like women are welcome: they deny or defend well-documented obstacles that women face (which targets them as a group and not men.) The resulting numbers are pretty black and white, and yet it's just denials and the meritocracy myth. How many people would willingly want to participate in this kind of environment? A lot do - some of the best coders I know are women. But there'd be many more if this wasn't so openly a boy's club. I think there is another factor for women in IT and in GitHub. I think as women get mid-career, they are more likely to have families. Yes- men are too! But, generally speaking, women are still the primary care givers and men are still the primary income providers. IT demands 50+ hour work weeks. The better you are, the more the company wants of your time. Women have to choose between career goals and family. If we want more women in IT, we need more life/work balance in IT. If most of the code is writte by men, it likely targets men as customers, based on experience. Problem solvers often find the best value when trying to solve a problem for themselves and then scale it. Add this to the possible questions: are the primary customers for an area in tech primarily men or women? (E.g. front end web, as commented by mara99). If yes, do the coders in this area of tech look like the customers? Which is cusal and which is simply correlated? Better question - what are women's main unsolved problems? The answer might point to an area ripe for disruption. IMHO only - these are follow on research questions for study, not answers! I'd love to see more women on GitHub, but in the end it's platform is curtailed to assist only a subset of the skills present in a community and it encompasses only a fraction of all the work invested into open-source projects. When you immerse yourself into the actual community behind a project, you will see that the rate of women involved begins to skyrocket. It is an important indicator definitely worth the attention, but a perspective that's solely based on relating genders and LOC/NOC is as broken as relating project completion with LOC/NOC. Every time I hear this discussion It's like tech is nirvana. Like everyone's career should be in tech and it's very amazing and there's something that is leaving women outside that amazing. Well, it's not. There are higher paying jobs: doctors, lawyers; There are easier ways to project yourself: banker, politician; There are more fun jobs: designer, photographer; There are more soul seeking jobs: geologist, biologist. Think about it. In tech you have to work long hours, usually alone, locked in an office, the work never gets easy as you get older and you will always be framed as a "technical person", which means, can't get a grip in real life. Probably women are smarter and don't get carried away for nothing, like men. Does that mean you disagree with the statements in the post? For example: "GitHub activity is generally a good indicator of engineering expertise, but the reverse isn’t true… Plenty of great engineers aren’t on GitHub." Could you share some examples where the rates have skyrocketed? Do you think the data would look significantly different if private repos were included? You are ignoring a career advancement opportunity. Even for a new male programmer contribution to open source can cause anxiety. But it allows you to build a network of people who can help advance your future employment opportunities and it shows business you can handle criticism well. If you start your own project it shows your creative and can bring that to a private company. Programmers interact with each other more than customers. Because it was a misguided idea. It would have caused indiscriminate damage to many projects. And do you go there to code or search for offensive things. Allow your refusal to lend your expertise speak for itself and help a competing project. You are mansplaining to a professional. You have no idea how tiresome this flippant dismissal of female input can be. For every woman, there are 8 - 10 men whose greatest joy in life appears to be telling her she is wrong, regardless of how knowledgeable she is and how profoundly ignorant they are. What drives this bizarre male behavior? 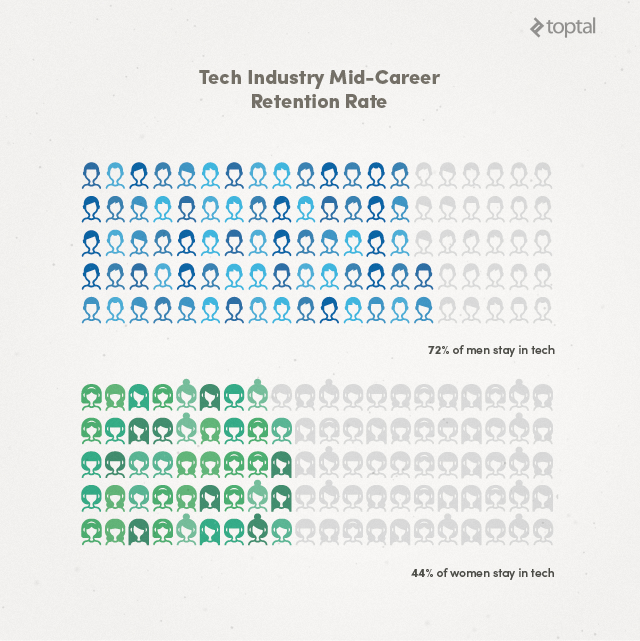 I think the low number of women in tech goes beyond quotas or if they prefer to work in other specialities, while we still thinking like that we are still blind for the real reason, in the past women was in great number when the subject was programming or computer (main frame) maintenance, fact: people are not taking in consideration when try to argue: why don't have a larger number of women coding. Coming back to these contents a few years later - with all of the things that have happened you may want to take down this article. It's extremely transphobic. Genderize.io literally assumes people's gender based on their new and not their subjective feelings. Take it down before they get you. "If your team is anything less than an equal balance of men and women, then your team is probably not the best it can be." this is total academic mythology, borne out by simple and unassailable fact that almost all great software is written by men. Women are free to write great open source projects, and trust me - nobody cares that much who wrote them, much less their gender or race - and in the 'open market of ideas' of software, women are not contributing. I don't think its fair to say women are 'worse' at development, but for whatever reason they are not choosing the field in great numbers - but again, this is actually very normal as many professions are gendered skewed. But most specifically - the notion that a 'tech team is optimal at 50/50 men and women' is laughably wrong. It's just stupid. Great teams are great teams, there is no magic gender ratio that makes any difference. Open source is 100% open to women. 99.9% of people using open source not only don't know who wrote it, they don't care. They certainly don't care about gender, or anything else. I have never, in 20 years, ever heard anyone say anything about the gender or frankly anything else about the person who wrote the mod they are using. "Oh, I like lodash, but it's written by an American so I'm not using it". Heyzeus. No. Home › Blog › Is Open Source Open to Women?